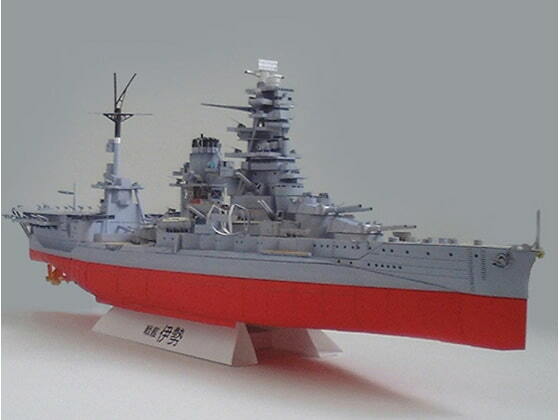 This is a 1/400 paper model of the Battleship Ise (after its refit as an aircraft carrier). After completion it has a length of approximately 550 mm (22 inches). The assembly diagrams are simple with just the part numbers on them. This is assumed to be printed on .12mm thickness printer paper. Paper with thickness of 1mm is required as well. 18 pages of illustrated parts and 3 pages of assembly diagrams at A4 size included. Scheduled release Jul. 15, * Release schedule subject to change.